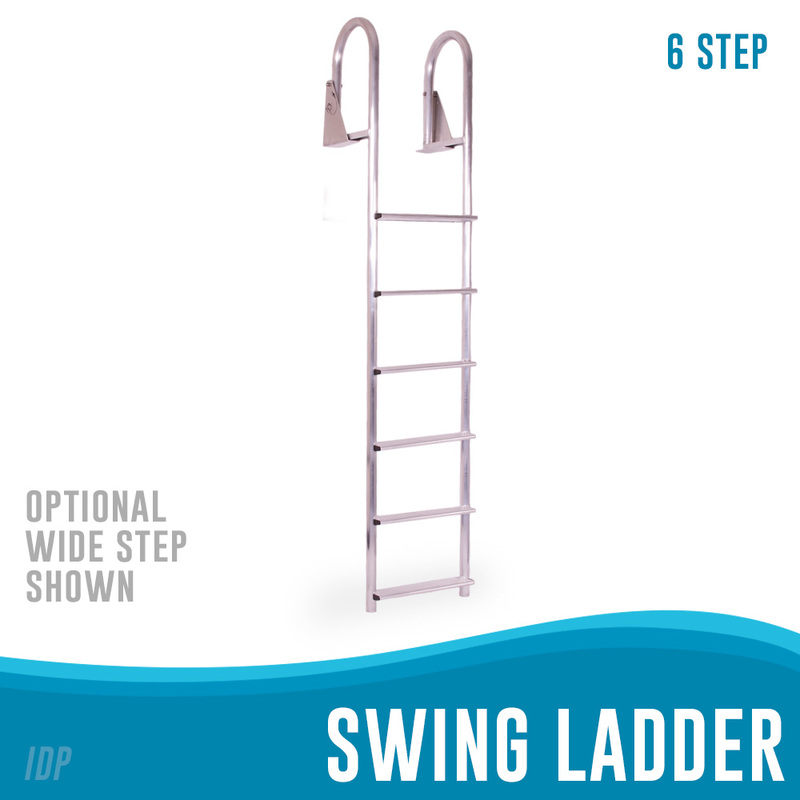 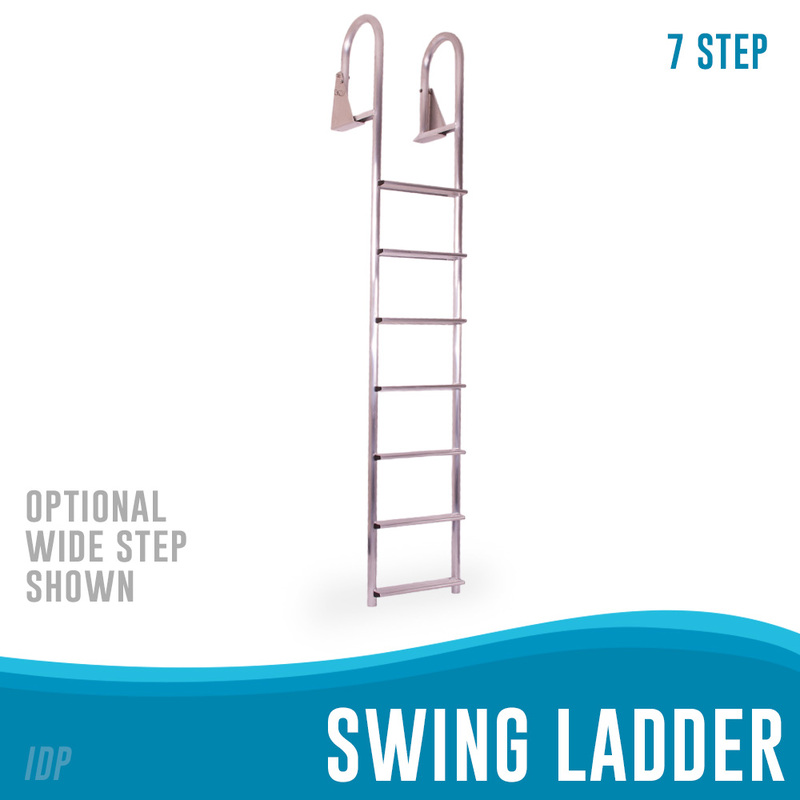 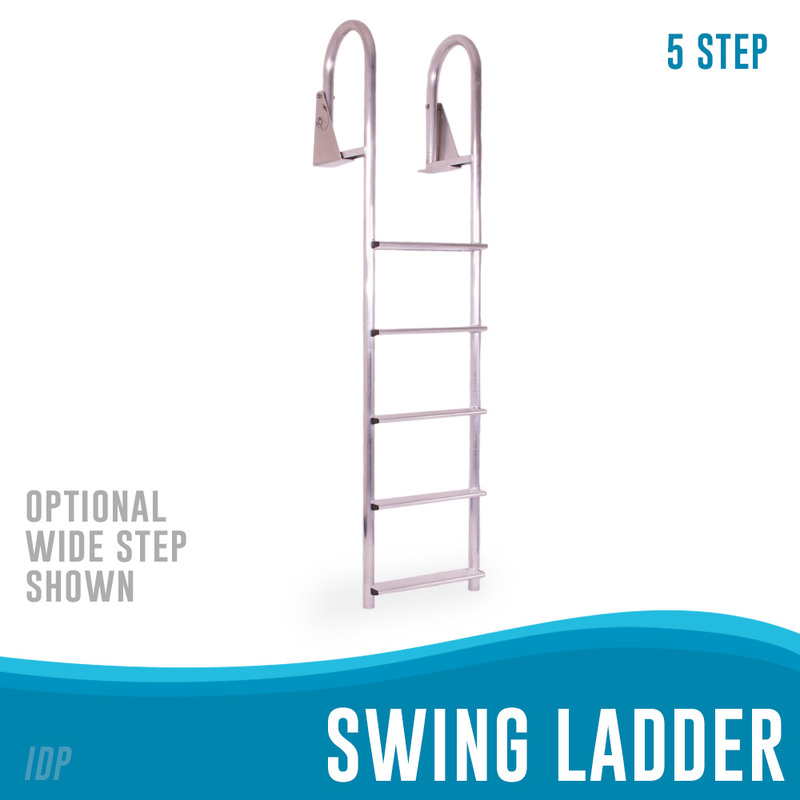 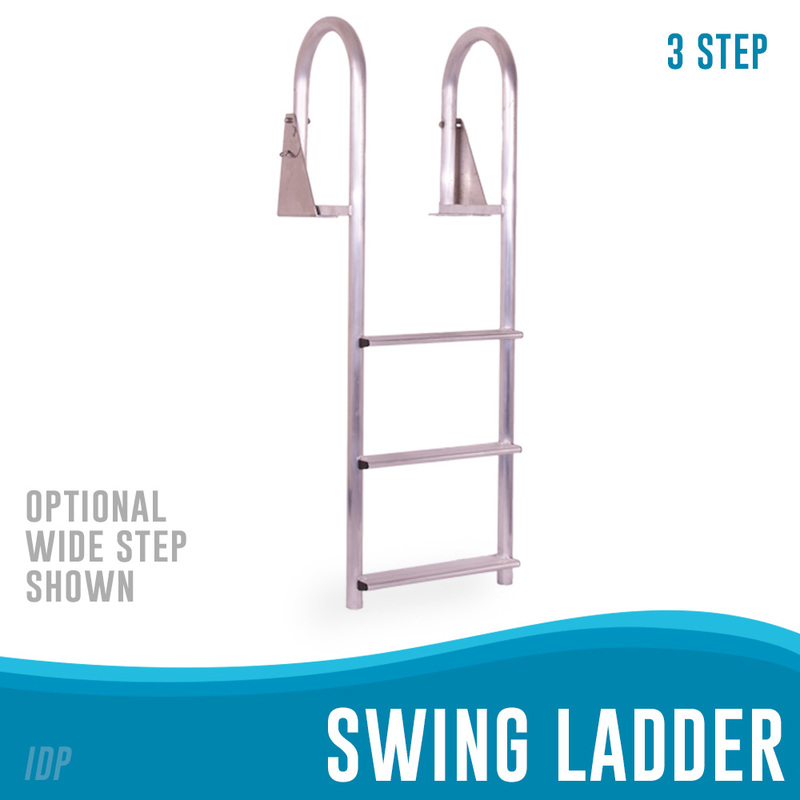 Swing ladders, or swing-up ladders as they are sometimes referred to, our similar to our straight ladders with the added feature of a pivot bracket that allows the user to pull or “pivot” the entire ladder out of the water. 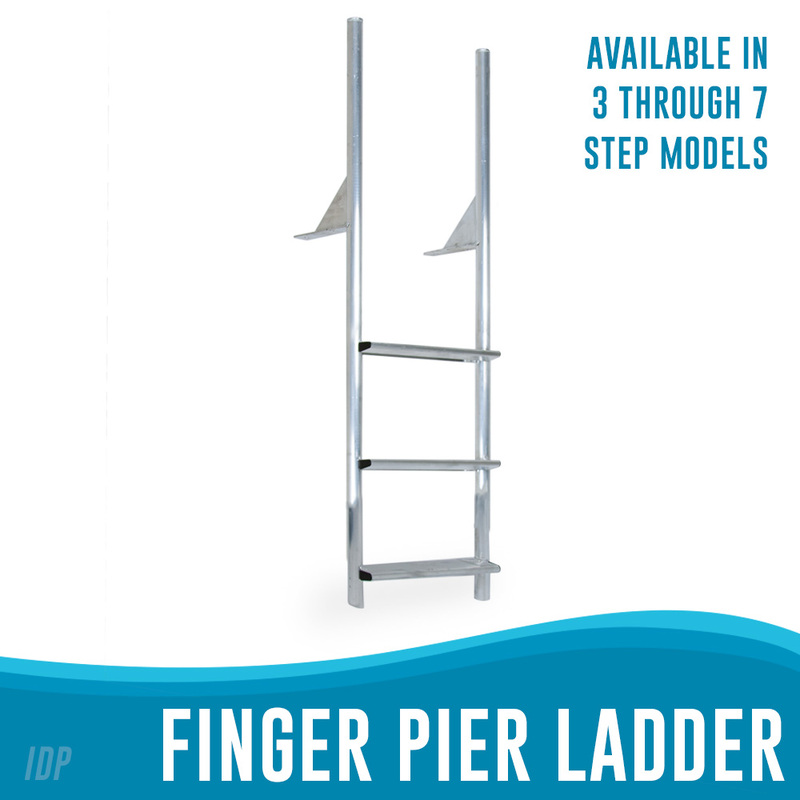 The ladder will stand vertically out of the water with the aid of a stainless steel pin provided. 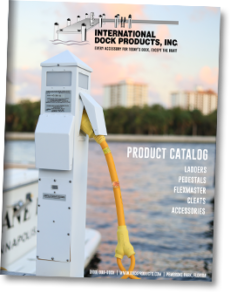 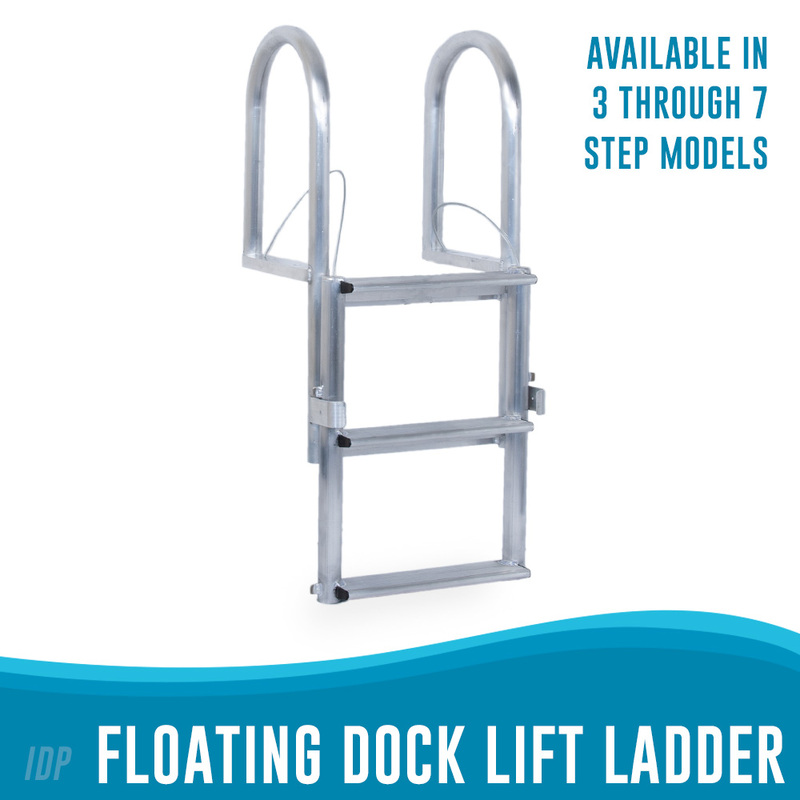 It can fully rotate 270 degrees and lay flat on the dock This is a favorite of people concerned with keeping the steps clean of marine growth. 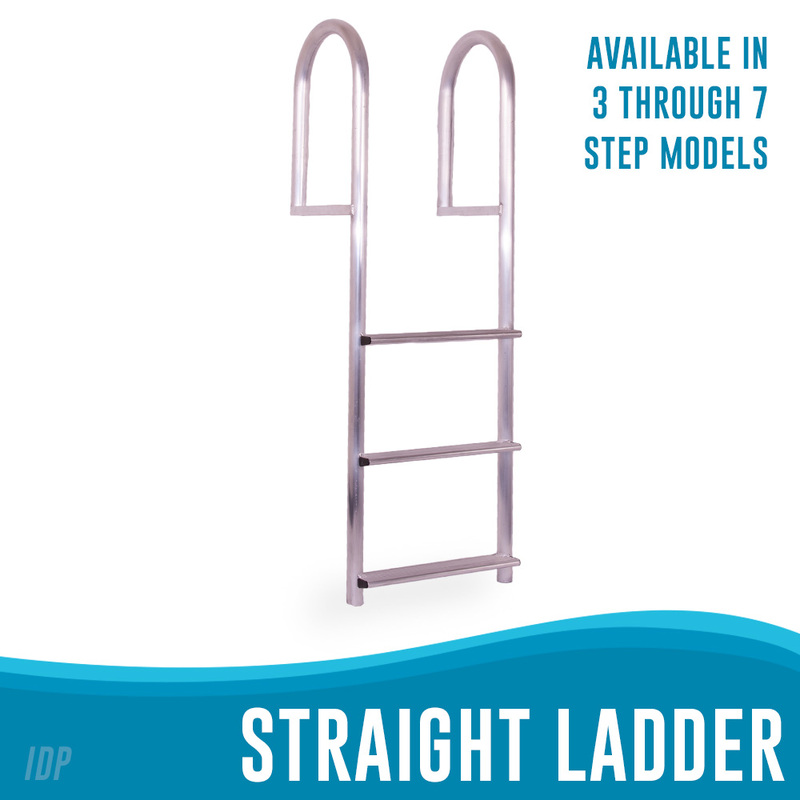 Available from 3 to 7 steps with our standard 2” wide step or our optional 4” wide step. 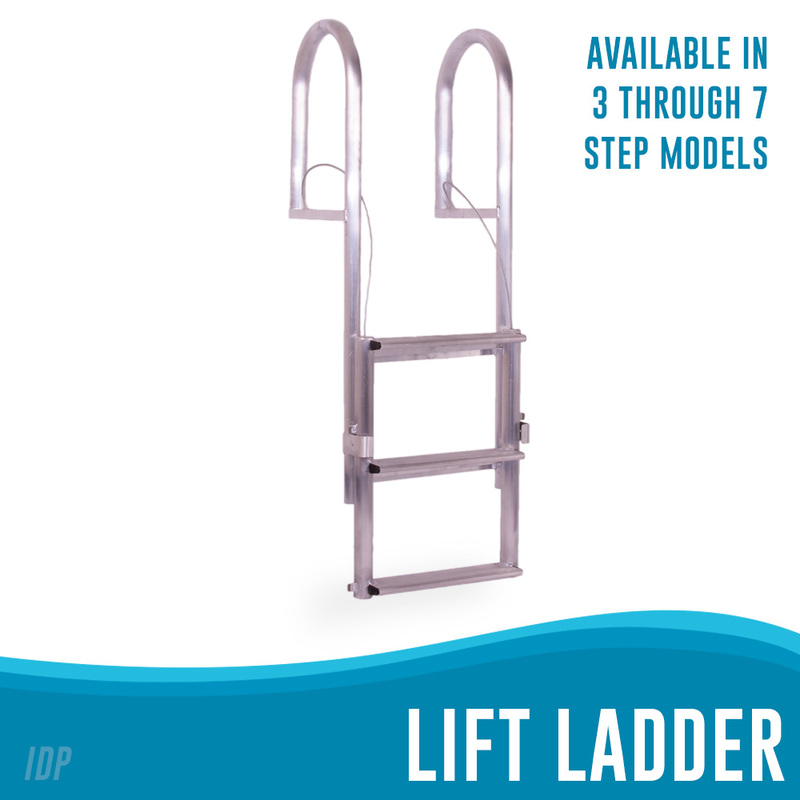 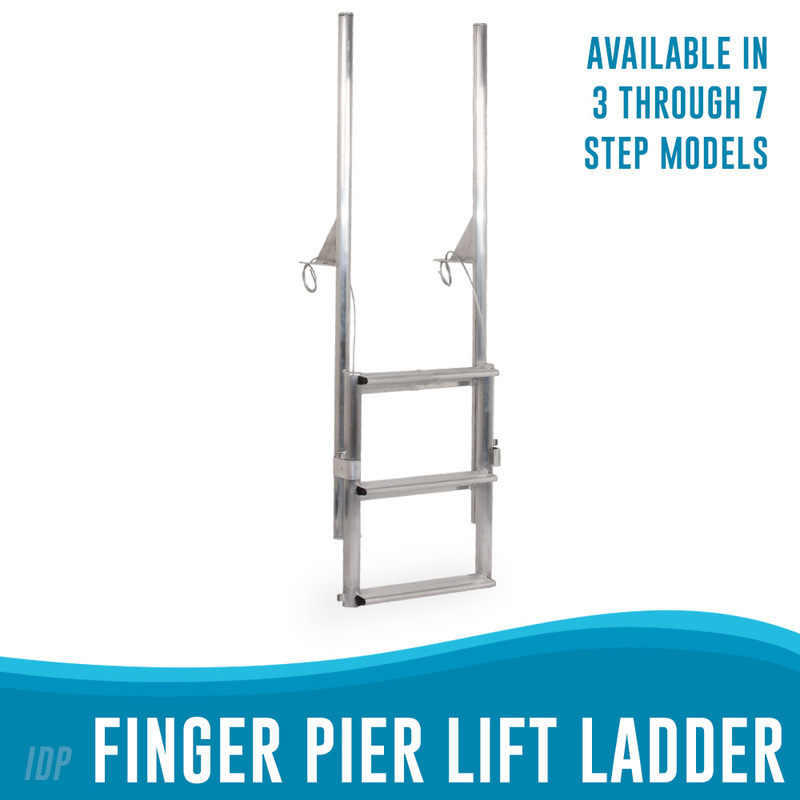 We offer a model designed to fit UPS shipping requirements with detachable hand rails in all sizes. 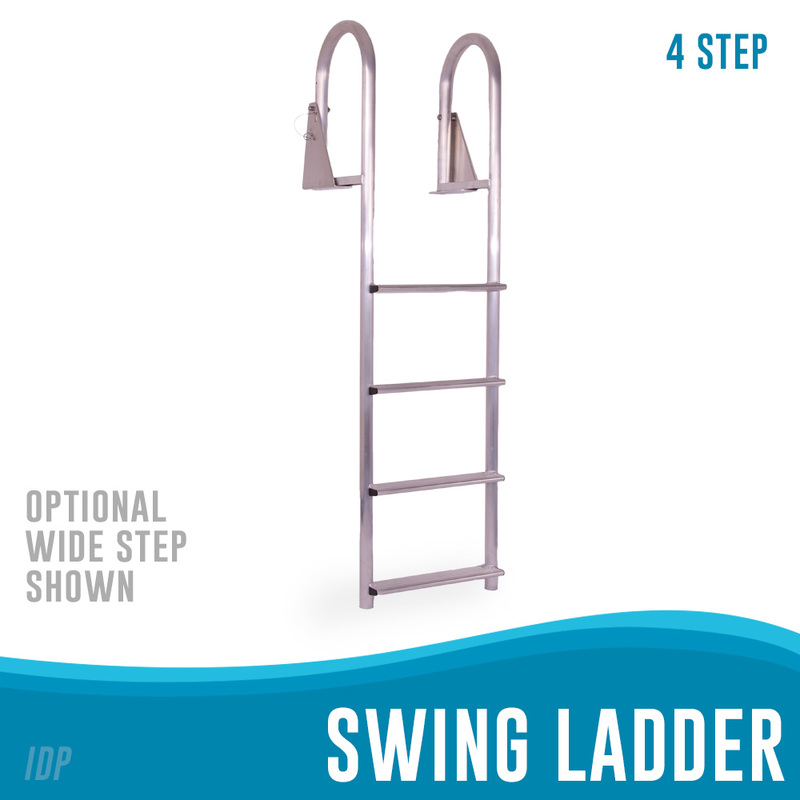 Simply bolt the handrails on with the stainless steel bolts provided without any loss of strength or performance.